All responsible website owners and operators are going to have in place a set of terms and conditions, on their respective websites and that is exactly what you are going to find below, as this is the newzealandslots.nz websites terms and conditions page. Please do therefore do read through each of the following terms and conditions associated with using this website, as we will take it as your approval that you agree to abide and be bound by each of them if you continue to stay on this website and look around it. 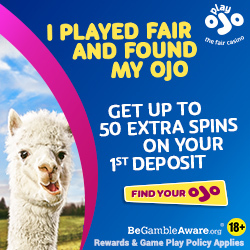 Now, let me begin by making the point that as this is a gambling orientated website with a leaning towards slot and pokie machines, you do need to be the legal age to gamble in whatever country you are visiting this website from to continue to use this website. Also you should always be aware of the risks associated with gambling and much more so when you set about playing slot machines or pokie games for any stake level, so be a sensible gambler and always set your own limits before you start to gamble. At all times you should be making sure that you are abiding by the laws of the country you are currently in, and there are many different laws surrounding online and mobile gambling, and it is your responsibility to ensure that you are permitted to gamble wherever it is you live. As mentioned up above all casino sites and venues no matter where they are also going to have in place very rigid rules surrounding the age limits at which customers can play their slots, pokies and other casino games so make sure you are old enough to gamble. You will however always want to have the peace of mind in knowing that wherever you have chosen to gable the games that are going to be on offer to you are perfectly fair and random games of chance too. That is when each and every single one of the casinos and other gambling related sites showcased linked into and mentioned throughout this website all hold a full and valid gambling license. If you do experience any problems when gambling at those sites you can always contact their license issuer who will be able to get your problems addressed to your satisfaction. We have no control over the connect or any services, offers or deals that are being made available on any third party websites we have listed or linked into from this website, however the ones we do recommend have been handpicked. The things that we look out for are a full and valid gambling license from any sites we do approve, as that way we and you have the peace of mind in knowing those sites are offering first class gambling experience to their customers and games that are verified and certified as being fair and random. We do advise you to double check to see if any offers we have listed are still available, for both the online and mobile gaming environments are fast changing ones and offers and deals can and do change rapidly. We cannot be held responsible for any out of date or recently changed promotional offers we list throughout this website, bit do always aim for them to be as accurate and up to date as is possible. Make sure though that you do read through any and all terms and conditions too. Whilst we can of course point you in the right direction as to where to play pokies and which are the best slot machines and slot sites to play at, we can only hope that you do gamble responsibly if and when you chose to play for real money. Most if not all slots and pokie machines that are available online and via mobile apps will allow you to sample playing them for free before you ever set about playing them for real money, so consider doing just that if your funds are low. It may also be beneficial for you to consider taking part in free to enter online and mobile slot tournaments as that way you won’t have to spend any money to take part in them but will have the chance of winning real money cash prizes or bonus credits. By making use of them you will never be able to deposit more than you had selected and set those option settings too, and once you have reached your loss limit you will not be allowed to continue playing until your chosen time limit expiries.